On Digital Fusion, an issue with network rendering has been fixed. On After Effects 6.0 or greater, duplicate copies of angle parameters in the timeline have been removed. A problem on workstations with no ethernet ID has been fixed. Some performance improvements on Mac. A problem on Windows for users without admin privileges has been fixed. A problem with saving workspaces from combustion's Render Queue has been fixed. On Mac, an issue with disabled ethernets and a problem with the install-ae-custom utility have been fixed. The render speed of RackDefocus is improved. For AE on Windows, a problem with hyper-threading is fixed that was related to drag-and-drop failures. Network rendering between Mac and Windows machines should now work. An issue with alternate layer inputs with different dimensions has been fixed. On Premiere Pro 1.5, support for field based media is improved. Support for Apple Motion is improved. Free network rendering is improved, including a workaround for GridIron. An issue with temporal effects combined with certain other effects is fixed. On Windows with Hyper-Threading, rendering speed is improved for many effects. An issue with Expand Borders and Soft Borders parameters is corrected. Mac OS X Tiger (10.4) is supported. On Windows, an issue with licensing and wifi devices is resolved. 32 bit host applications on Windows64 are now supported. On Mac, serial number installation is simplified when using an http proxy server. In 1.061, an issue with licensing and multiple Ethernet devices is fixed. In 1.062 on Mac, an issue with Point params in Motion 2 is worked around. Network rendering on Combustion 4 is supported. The Windows installer finds eyeon Fusion 5. In 1.071, a problem with all-zero machine IDs is fixed. Final Cut Pro 5.1 and Combustion 4 on Intel Macs are supported. The Mac installer now includes both CFM plug-ins for older host products, and Universal plug-ins for newer host products on PPC and all universal hosts on Intel Macs. An issue with FCP quitting on certain quad G5s is fixed. AutoPaint is improved when used with tall aspect ratio images. The Windows installer finds eyeon Fusion 5 render nodes. In 1.082, out-of-memory handling is improved and an issue with quad core machines is fixed. In 1.083 an installation issue with Final Cut Pro HD (versions 4.5 and earlier) is corrected, and Pie FX for Chyron is supported. In 1.09 on Windows, Pie Fx support is improved, support for Windows systems with multiple Ethernets is improved, and a problem is corrected when using Sapphire as a different user than the one who installed the software. In 1.10, a problem with network rendering in 1.09 is fixed, an issue with S_FilmEffect with 3:2 stutter after another plug-in is fixed, and the Windows installer finds Eyeon Fusion 5.1. To load a plug-in in Adobe After Effects, go to the Effects menu and open one of the Sapphire folders. You can double click on an effect to insert it into your current layer's effects, or drag it onto the desired location in your current layer. To load a plug-in in Final Cut Pro, go to the Effects tab in the browser, open the Video Filters folder, open one of the Sapphire folders, and drag the plug-in onto one of your clips. Then to view and adjust the plug-in parameters, double-click on the clip, and select the Filters tab in the viewer. To load a plug-in in Combustion, select the layer in your Workspace that you want to apply the effect to, open the Operators menu, and select a plug-infrom one of the Sapphire folders. In Adobe products, you can reset all of a plug-in's parameters to their default values by clicking on the Reset button just to the right of the plug-in name in your layer editor. Individual parameters can also be reset to their default values from the Effect Controls editor by right-clicking on the parameter and then selecting Reset. In Final Cut Pro, reset is performed by the red "X" button. In Combustion, the Reset button is to the right of the parameters under the small feedback image. In Adobe After Effects, all Sapphire Plug-ins include an Aboutbutton to the right of the plug-in name. Push this button to bring up a window showing the current version of Sapphire Plug-ins, your license status, some documentation about the current plug-in, and links to more detailed HTML documention. In Final Cut Pro, the About button is just above the parameter sliders. In Combustion, the About button is to the right of the parameters under the thumbnail image. Online documentation is normally installed along with your software and can also be accessed directly.On Windows go to Start -> All Programs -> GenArts Sapphire AE -> Online Help (HTML) or (PDF). On Mac, go to the Applications/GenArtsSapphireAE folder and double click on Online Help.html or .pdf. Glint, Glow, Glare, and Rays, for example, take the main Source input and also an optional Matte input. For these, the source input is multiplied by the matte before generating the glints (or glows, glares), so where the matte is black no glints are generated,and where it is white they are generated as usual. This method prevents the glints or glows themselves from being partially cropped by the matte. In addition these effects use the RGB colors of the Matte input to selectively colorize the resulting glows, glints, or glares. The red areas of the matte will produce red glows, glints, or glares, and so on. In Blur effects, the areas which are matted out are never blurred, so they do not blur into the matted-in regions. If a matte were instead applied afterward, the pixels behind the matte would be blurred over the edge of the matte and into the final image. As an example, say you have a clip with white text over a black background. If you put that clip into both the Source and Matte inputs of Blur, the black background will not be blurred into the text, since the black pixels are all matted out. For a few compositing effects, Layer, DropShadow, EdgeFlash, MatteOpsComp,and RackDfComp, the Matte input instead indicates the opacity of the foreground clip. This can be used to give the plug-in different opacity values than the usual alpha channel of the main foreground input. Alpha is processed as just another input channel like R, G, and B. Effects in this category include: AutoPaint, Mosaic, Blur,BlurMotion, RackDefocus, all Wipes, all Dissolves, Distort, DistortBlur,DistortChroma, all Kaleidoscopes, all Warps, Shake, and MathOps. Alpha is copied from the first input to the output. In this case the effect doesn't use the Alpha channel, but it is passed through unchanged from the first input to the output. Effects in this category include: BandPass, BlurChroma, ClampChroma, DuoTone, EdgeDetect, Embosses, Etching, HalfTones, Hotspots, DistortRGB, Monochrome, Pseudo_Color, Psykos, Sharpen, Sketch, Sparkles, Streaks, Threshold, and Zebrafy. Some other effects pass the input Alpha channel through, and also add some opacity where the effects are applied. An Affect Alpha parameter is included in these effects which allows adjusting the amount that the alpha channel is affected. The effects in this category are: LensFlare, all Glows, all Glints, Glare, EdgeRays, Rays, and all Zaps. Most Sapphire Plug-ins include a Opacity parameter that also affects how alpha is processed. Normal Opacity indicates that the input images are "non-premultipled" or "straight" format which is typical for After Effects. If the Opacity parameter is set to All Opaque, the input alpha is ignored (it's treated as if it were fully opaque), and the output alpha is set to 1. This option is slightly faster, and is appropriate if your images should be fully opaque. 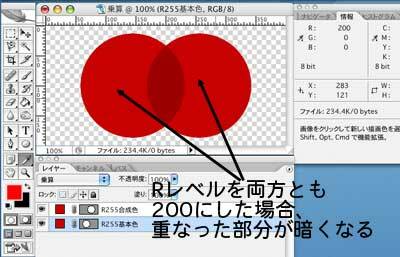 The Opacity parameter can also be set to AsPremult to indicate the input clips are in "premultiplied" format. 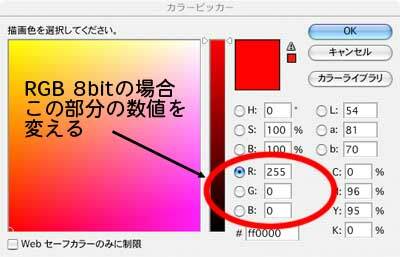 In this case the RGB values of input images are assumed to be already scaled by their Alpha (opacity) values, and the output images are also generated in this format. This option is less commonly useful, but may be appropriate if the transfer mode of your layer is set to Luminescent Premult. A few plug-ins such as the Clouds and Texture generators include both an Input Opacity and an Output Opacity parameter. The Input Opacity gives the Normal, All Opaque or AsPremult options as described above, and the Output Opacity allows selecting between copying the opacity directly from the input, or setting the output to all opaque. BandPass, BlurChroma, ClampChroma, DuoTone, EdgeDetect, Embosses, Etching, HalfTones, Hotspots, DistortRGB, Monochrome, Pseudo_Color, Psykos, Sharpen, Sketch, Sparkles, Streaks, Threshold, and Zebrafy. Many Sapphire Plug-ins include parameters that adjust angles.These parameters are in degrees, so 180 is half a revolution and 90 is a quarter, etc. On AE, Premiere, FCP, and Combustion, a positive change in the parameter value corresponds to a clockwise rotation.In Digital Fusion, however, a positive change is a counter-clockwise rotation.This makes the behavior of the plug-in angles consistent with typical angles in each host application. The values, including the default values, are negative on Digital Fusion relative to the other host applications.In AE, Premiere, and FCP, there is an option to use dials rather than sliders for angle parameters.This allows you to turn the parameter value around in the user interface in a way that corresponds to the actual rotation.In Digital Fusion, there is an option to use treadmills for angle parameters, with on-screen user interface widgets which can be dragged to rotate them in the image display area.Some users prefer these rotating dial options, while others prefer the usual parameter sliders.Variables are provided in the Sapphire Plug-ins s_config.text file that allow each user to set their own preferences.You can independently indicate if you want dials on FCP,Digital Fusion, and/or AE and other applications that might support them.By default, Digital Fusion uses the dials option, and other host applications use sliders.See the section below on Customizing Plug-ins for information on how to edit this config file and change these options.For a new dial preference to take effect on FCP, you also need to delete the "Final Cut Pro POA Cache" in Library/Preferences/Final Cut Pro User Data in your home directory. For some image formats, the digital form of the image is scaled non-uniformly to produce the final viewed picture. 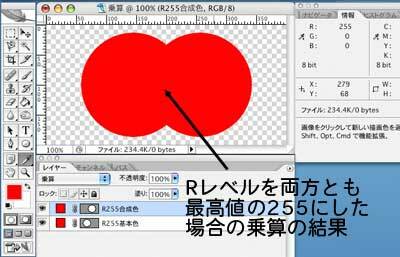 For example NTSC resolution is normally 720x486 with an aspect ratio of 1.481. If necessary, you can override the pixel aspect ratio for allSapphire Plug-ins by changing the value of force_pixel_aspect_ratio in the s_config.text file. A number of parameters are available that can be adjusted to customize the behavior of all Sapphire plug-ins. You can disable multi-processing, choose to use dials for angle parameters, force the pixel aspect ratio, or specify lookup tables for more accurate processing of log format images. A facility is also included with Sapphire Plug-ins that allows users with some programming experience to define and customize new plug-ins. For additional information on these, or to modify a parameter, see the s_config.text file. On Windows the config file is located at C:\Program Files\GenArts\SapphireAE\s_config.text. Custom Lens Flare types can also be made by editing the s_lensflares.text file, in the same directory as the config file above. New flare types will automatically appear in the menu of the S_LensFlare plug-in. Alternate "layer" (or "well") parameters allow plug-ins to access other unprocessed layers, but can not get the layer as processed by other effects. This appears to be true on both AE 6.5 and FCP 4. A PreComp is needed to achieve this. The Feedback and Trails effects sometimes do not render correctly unless the cache is cleared first. These effects must also render frames in sequential order. On FCP, alternate "well" input clips are often not accessed at the correct time. Their positions on the timeline are ignored, and they are also sometimes accessed at half speed. Hopefully this will be fixed in a future version of FCP. On FCP, push buttons do not work, such as the Set Hold Level button in the Flicker Remove effect. They do not appear at all in FCP, and you need to adjust the Hold Level manually instead. On FCP, parameter value ranges are often more limited than the min/max values shown in the documentation. This is because FCP ignores the absolute limits specified by the plug-in. It does not allow type-in values to exceed the default slider limits, and does not provide a way for the user to adjust the slider limits, as AE does. On After Effects 6, adjusting parameter values by directly dragging on the number with small ranges is often too sensitive. This is because AE 6 sets the sensitivity automatically using the valid range of the parameter, and does not adapt to small slider ranges correctly. This is much improved in AE 6.5. On After Effects, temporal effects that require frames from other times should be applied directly to a clip, and not over another effect. A plug-in can't access alternate frames from the output of another effect. Workarounds are to either apply the temporal effect first, or use a precomp and apply the temporal effect to that. On Premiere Pro 1.0, most parameter values measured in screen pixels that are not xy points are incorrect in Draft Quality, and temporarily incorrect while dragging in Automatic Quality. However, they should be correct in the final full resolution render. Hopefully this will be fixed in a future version of Premiere Pro. © 2007, GenArts, Inc. All rights reserved.